SinceSpirit Guardian is a brand new free to play Action MMORPG which offers players all kinds of ways to boost the power of thousands of heroes. It is kind of tricky and difficulty for players to choose the best way to move forward in the game. While enjoying the journey with this wonderful game, Players still may be encountered with questions about certain aspects of the game or even suggestions on how we could makeSpirit Guardianeven better. Based on what is mentioned above, the team of GTArcade strongly suggests our players to visit our forum. Come on, our lovely players, visit it today and get all the greatest tips and make your voice heard in the forum! 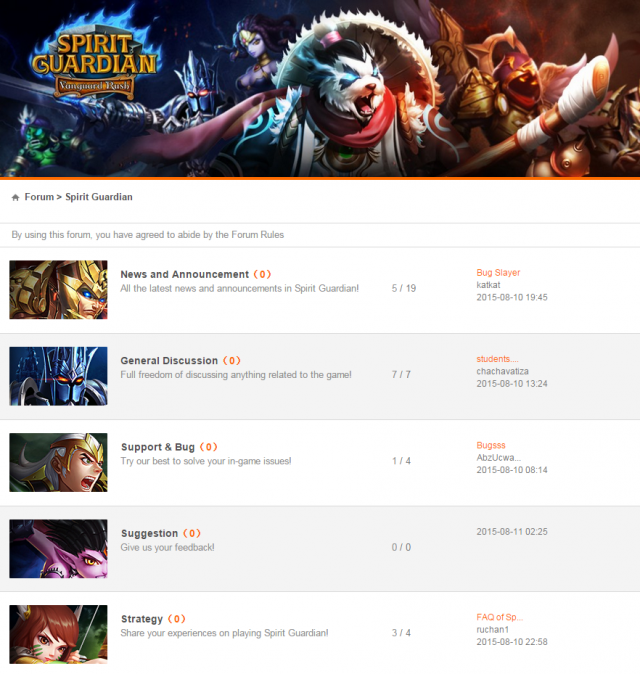 The same as previous GTArcade games’ forums, the forum ofSpirit Guardianalso offers a stage where players can feel free to express whatever they feel like to share, from game strategy and bug reports to random chatting with friends, family and life in general. We hope that this forum can offer a platform for our players to perform well and have fun!